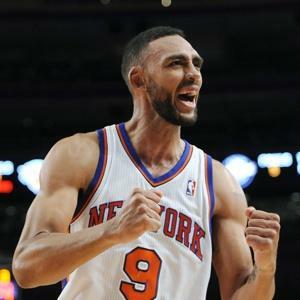 Former Knick Jared Jeffries retired from the NBA today and rode off into the land of former Knicks, taking a front office job in Denver. Jeffries, who served multiple stints with the Knicks during his career, will go down as a legend when it comes to drawing charges and being “scrappy”, but will also be remembered as perhaps the worst offensive player of all time. This entry was posted in Articles and tagged jared jaffries knicks, jared jeffries, jared jeffries nuggets, jared jeffries retires, KNICKS, KNICKS MEMES, Knicks news, knicks nuggets, nba retires on September 17, 2013 by Tommy Rothman.